From time to time, I come across people with such painful issues in their background that they find it almost impossible to forgive the person who has wronged them. It’s easy for me to advise them that forgiveness is a choice, that Jesus will help them, and so on. Yet despite an apparent willingness, they have an ongoing struggle to truly forgive and find freedom. I remember watching an interview with Christian actor, Tyler Perry, who said that in his experience it takes as much strength and time to forgive as it did to go through whatever they went through originally. Forgiveness can be tough for some people. Now imagine that the person they need to forgive murdered their father. 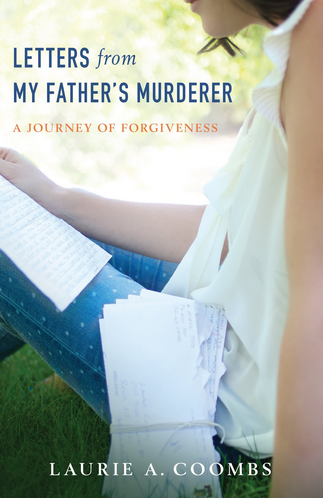 When I was offered the opportunity to review Letters from My Father’s Murderer: A Journey of Forgiveness by Laurie Coombs , I was intrigued by the title, which is why I agreed to read the book. It’s not often that I find a Christian non-fiction book almost impossible to put down. But more than being a page-turner, this book gives an amazing first-hand account of grace and forgiveness, and dealing with anger, hate and a desire for revenge. It shows Jesus’s power in what seems to be an impossible situation. It’s a book I’ll be recommending …. On another note, I rarely talk about our personal finances. Recently, Tony and I had the privilege of being interviewed by Ali Eastburn of With This Ring, an organization that teaches radical generosity. They asked us to tell stories of how costly giving has affected our lives. You can listen to the interview here. Until a few months ago, the church that meets in our home did what I suspect the majority of simple/organic churches have done with their giving. That’s not to say that people haven’t been giving. They have–generously. (A few years ago, a friend of ours did research on how giving within simple/organic/house churches compares with the traditional church. 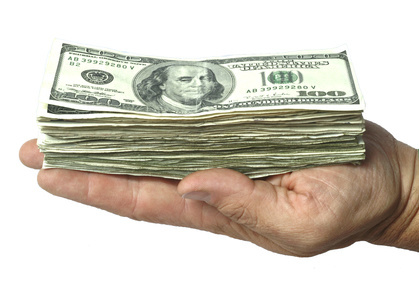 Well over half the people give more than 10 percent of their income. The typical American Christian gives 3 percent.) But most people don’t tend to give via the house church. They give to friends they know on the mission field, needs within the church as they have come up and various other charitable/spiritual projects they have wanted to support. All of it good. The issue was forced on us recently when a couple told us they wanted to do some of their giving via the church. As a church, we sought the Lord and had the sense that he wanted us to be more strategic in our giving. It’s not that one or two people should make the decision about where the money should go. As his body, together, we were responsible for asking him what he would like us to do with any money collected. Even with people continuing to give their regular support to projects they are committed to, with no buildings and no staff, there’s a lot of money available. So we opened a bank account, and each week we have a pot available for people to put money in. In the past three months, as a church, we’ve spent time seeking the Lord as to what we should do with the money collected. Each time, there’s been a general consensus as to where it should go. We’ve given to missions, we’ve helped some people within the church who had overwhelming financial need, we’re helping one of our young people go to camp over the summer and we’re giving a proportion (rather than a set amount) regularly to House2House. The most strategic network of churches I know of regarding finances is in Killeen, Texas. Last time I heard, they’d given more than $1.2 million since their inception. What if the rest of us were to be strategic with our giving too? What if, as a movement, we were strategic with our giving? What more could God accomplish? 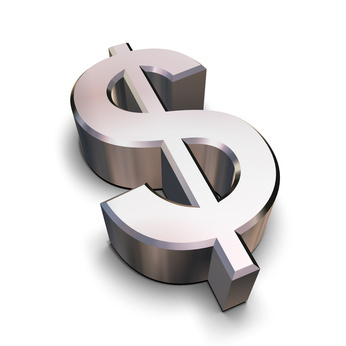 How are simple/organic churches financing mission? Our friend, Steve Lyzenga of www.House2Harvest.org did his doctoral dissertation on releasing resources (both financial and personnel) towards completing the Great Commission. He compared how resources are used within a traditional church set up and house/simple/organic churches. 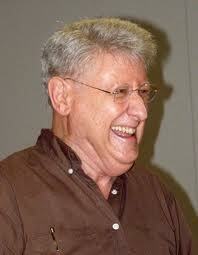 I had the honor of being on his doctoral board, and so was closely involved in the whole process. His results (not large enough to be statistically significant, but giving some idea of what is going on) were very revealing. People in simple/organic churches are giving more, but their churches are spending less on internal needs, so more money is made available for Kingdom purposes. Their money goes towards benevolence and missions. One of the verses that motivates Christians to mission is Matthew 24:14. Jesus tells his disciples, "And the Good News about the Kingdom will be preached throughout the whole world, so that all nations will hear it; and then the end will come." They believe that Jesus will return when every nation or people group has heard the Gospel. The New Testament Greek word for “nations,” comes from the Greek word ethne. A "nation" or “people group” is a group of individuals who share common ethnic, linguistic, or cultural traits. It's the largest group within which the gospel can spread without encountering barriers of understanding due to culture, language, or geography. When there is no representation of the body of Christ within that people group, they are known as "an unreached people group (UPG)." According to the Joshua Project, of the 16,690 people groups in the world, 6,955 are still considered to be unreached, totalling approaching 3 billion people. The majority of these are in the 10/40 window. What are the best ways to use the money that is being given? Author simplychurch1Posted on January 18, 2012 January 10, 2018 Categories Finance, MissionsTags benevolence, finances, giving, mission, missional, organic church finances, simple church financesLeave a comment on How are simple/organic churches financing mission? We left the pastorate “in search for a new wineskin” and began to gather relationally in homes throughout our town/area. The subsequent 32 years (1979-2011) that we have been in Winnsboro, the Lord has led us to be “sent out” from our Antioch/Winnsboro to the nations of the world equipping Ephesians 4 servants to reach their respective nations for Christ. The Lord has blessed us with a very unique relationship and ministry to the whole Body of Christ in our town/area. When we first left the traditional pastorate here in Winnsboro, our family was persecuted and even accused of being cultic; however over the subsequent years, the Lord led us by His grace to respond to the persecution by obeying His command to “pray, love, speak well of and do good to” those who persecute us. As a result of the Lord’s faithfulness to our obedience to His word, relationships have been wonderfully restored and we now have close and loving fellowship with the whole body of Christ here in our town/area. In addition to participating in the home gatherings, we’ve had the joy of sharing in fellowship and ministering in various denominational congregations throughout our city/area, i.e., preaching, teaching, equipping, etc. When we go out on mission to the nations, the congregations of our whole town/area come together to lay hands on the mission team and “send us out.” When we return home, we are invited by these same congregations to come and share what the Lord did on our missionary journey. First of all, the examples and principles in the Scripture are our guide as led by the Spirit. Paul as a missionary was supported financially by both individuals (women, etc.) and churches (Philippi, etc.). Paul also as the need arose, ministered personally to his own needs and to the needs of his companions, i.e. via tent making. The churches, at Paul’s urging, collected funds from the Gentile churches to send collectively to the needs of the Jewish believers in Jerusalem/Judea. It is important to note that Paul, along with other servants, with great transparency, gathered the funds from the churches, and delivered these funds to the servants of the church in Jerusalem. This example of transparency is important so that we do not unnecessarily cause those who receive funds to be tempted to be mercenary or use the funds inappropriately, because others were not included in the distribution of these funds. Thus we encourage believers here to give both personally to needs and collectively through the various churches who in turn, together through the direction of the Spirit, determine the needs of widows, orphans, the poor. When there are needs outside of our Jerusalem, i.e., “Judea, Samaria unto the uttermost,” then the churches collectively gather funds and send them either by apostolic/elder teams and/or Western Union, Direct bank deposit, etc. How should we give financially within the simple/organic/house church? There are a number of reasons (see the last post) why people within simple church may not give via their simple church network. Some of these reasons are good, for example, they sense God wants them to give to a certain person who their simple church doesn't support financially. Others are not so good: finance is too hot a topic for our simple church to handle. Does the Bible have any criteria as to how (not so much our attitude, more the mechanism) we are to give? Matthew 6:3-4 But when you give to someone in need, don’t let your left hand know what your right hand is doing. Give your gifts in private, and your Father, who sees everything, will reward you. Acts 2: 44-45 And all the believers met together in one place and shared everything they had. They sold their property and possessions and shared the money with those in need. Acts 4:34-35 There were no needy people among them, because those who owned land or houses would sell them and bring the money to the apostles to give to those in need. In 2 Corinthians 8 and 9, Paul urges the Corinthians to make sure their gift for the church in Jerusalem is ready when he comes to collect it to take the saints there. I've chosen verses some verses that imply that giving is directly to the person in need, and others that imply that giving is via the apostles. It seems that there are two basic approaches, both dependent on the fact that we have totally surrendered our finances to the Lordship of Christ. And it may be more of a both/and rather than an either/or. Each person seeks the Lord as to where they should give. Can we trust the Holy Spirit to lead us all in such a way that the needs of both benevolence and those in traveling ministry are met? Our simple churches, or networks of simple churches, seek God for financial vision. Are there projects He wants us to support? Orphans in other countries we can provide for? Could we release more people into missions? Can we have a transformative impact on our cities? Author simplychurch1Posted on June 24, 2011 January 10, 2018 Categories Finance, House church, Organic church, Simple ChurchTags finance, giving, house church, organic church, simple church3 Comments on How should we give financially within the simple/organic/house church? Many simple churches do not discuss giving. Period. Christians have been so burned by the pressure to give from their previous experience that no one wants to bring up a potentially controversial subject. Some simple churches haven't set up a giving mechanism. They have neither a bank accounty nor do they take up offerings. They ponder over whether to become a 501C3 charitable entity. Some are very wary of giving information to the government. Others don't want to go through the hassle of all the paperwork. There is a lot of giving going on within the simple churches that doesn't go via the church as a whole. A person becomes aware of another person's need and provides for it without going through "official channels." Many people have friends who are involved in full-time Kingdom work and revel in the freedom to support them directly. To tithe or not to tithe: that is the question. Many individual churches or networks of churches have not sought God corporately regarding what he wants them to do with their finances. Lack of vision for what a strategy for giving might accomplish. What other reasons can you think of?